Premise- A team of two contestants play a series of eight cash building rounds that tests their knowledge of the values of vintage, antique, and one-of-a-kind items, from a cemetery grave plot to a diamond-studded tiara. For each round the team wins, they win the cash value attached to the challenge toward their bank; otherwise, no money is added to their bank and the game continues. The games in rounds one and two are worth $5,000, rounds three and four are worth $10,000, rounds five and six are worth $20,000, and round seven is worth $30,000. Some of the games include “Truth Be Sold”, where the team is told two back stories about a specific item but only one story is true, and “Celebrity Inflation”, which tests the team’s knowledge of various celebrity paraphernalia. In the final round, the team will be given four items for their “collection” and they have to determine which items are worth more than the four items in Cedric’s “collection”. One match wins the team their bank, while two matches wins the team double their bank and three matches wins the team four times their bank. If a team can successfully match all four of their higher-priced items with Cedric’s lowered-priced items, the team will win ten times their bank, for a maximum grand prize of $1,000,000. However, if the team picked an item that was not worth more than one of Cedric’s items, the team lost three-fourths of their original bank. This new game show is an interesting combination between The Price Is Right and PBS’s Antiques Roadshow. It’s Worth What is the first NBC primetime game show I have seen (besides Twenty-One) that did not quite follow NBC’s repetitive theme of game shows filled with distracting bright lights, obnoxiously loud music cues that filled every second of each episode, and super annoying contestants. However, this is only the first episode of the new series, but I don’t think that this show will fall victim to that horrid format. There is a lot that I like about It’s Worth What and there are some things about the show that could use some improvement. One thing I like about the show is the creativity used in the variety of games that are played in each round of the show. 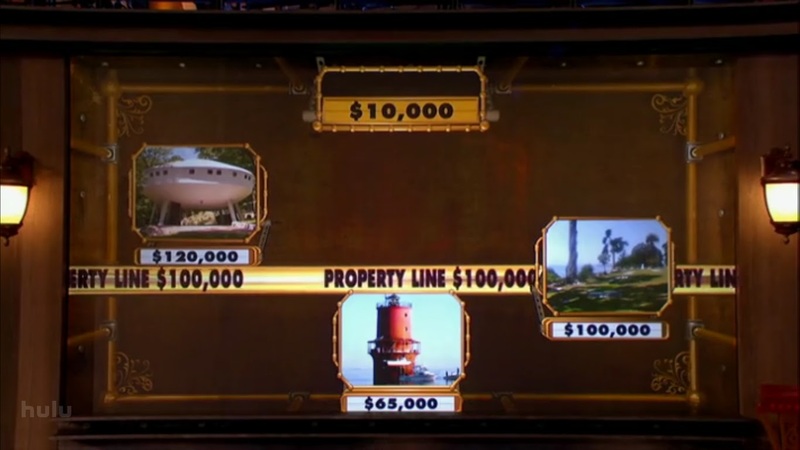 Like the pricing games on The Price Is Right, It’s Worth What has multiple, challenging games in the cash building rounds to keep the show interesting, even though the premise is essentially the same in almost every game as the contestants seek to find the most expensive items. I also like how It’s Worth What’s large “$50 Million Warehouse” set is designed to suit the show’s theme. As far as Cedric The Entertainer as the host, he is a good host for this show. He is straight-forward, keeps the show going at a consistent pace, and does not waste a lot of time trying to be a comedian throughout the entire show. Yet, he still keeps the contestants, studio audience, and home viewers entertained with his wit and humor. However, I am not too crazy about Cedric’s version of “Final Answer?” as “Are you ‘sure sure’?”. But, I guess it will take some getting used to as the series progresses. While there are a lot of things that I like about the show, there are a few things that I do not like about this show. One of the main problems I have with the show is that i feel that it’s rushed with the sped-up reveals of the valuable items. I don’t like how some of the items are first introduced with the use of the “fast-forward” special effect. I feel like the show should introduce each item with a curtain or door reveal as on The Price Is Right and Let’s Make a Deal or even the show’s movers carting the items onto the set in without the fast-forward special effects being used. I might be nit-picking here, but I also believe that the show has one commercial break too many and one break needs to be removed in between the two $10,000 rounds. On a quick end note, I am getting tired of the contestants and hosts cursing on game shows nowadays and how we just casually excuse it as an everyday occurrence. It really irked me when Annabel, one of the contestants, was using an unnecessary expletive while telling her side of a story. It seems like the bar on cursing on game shows is dropping lower and lower with every new series, as I have already seen and heard on Million Dollar Money Drop and on Bill Engvall’s version of Lingo. The producers and directors of these shows need to keep in mind that families with younger viewers might be watching these shows as well and need to keep it clean and maintain some level of decency. 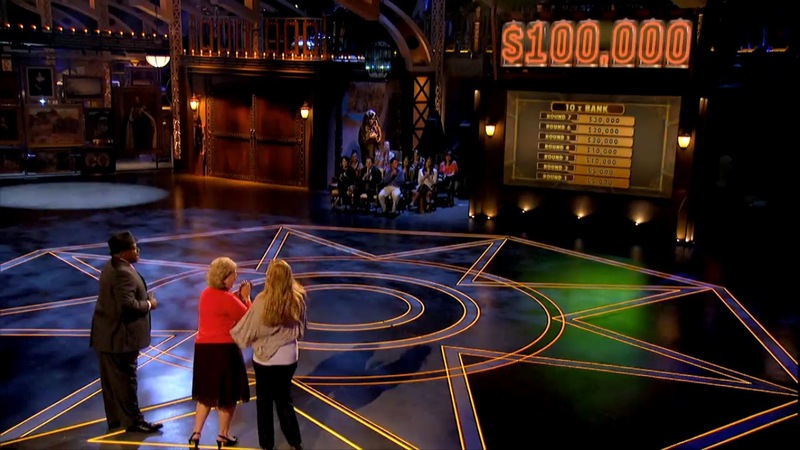 Overall, this unique million-dollar game show is one of the more creative primetime game shows I have seen in a while. I like how this show is pretty much straight-forward and “to the point” and is still fun to watch at the same and fun to play along to guess the actual value of bizarre and antique items, such as a tube of toothpaste used by Justin Bieber or a rare bird. Even though the show needs to iron out a few kinks and is quiet for a majority of the show, this is still a good game show “worth” watching during the summer. Watch It’s Worth What? Tuesdays at 8:00pm EST on NBC!